A Wi-Fi-only version costs $399, while adding cellular raises the price to $529. The amounts are identical to what Apple was previously charging for less storage. Apple has otherwise left the tablets unchanged, including the same silver, gold, and space gray color options, as well as the aging A8 processor. The company appears to be steering people towards its new 9.7-inch budget iPad, which goes on sale March 24 with a faster A9 processor. That product is available for as little as $329, albeit with only 32 gigabytes. Bumping storage to 128 gigabytes raises the cost to at least $429. Apple has generally neglected the iPad mini line in recent years, perhaps most infamously with the Mini 3, which was essentially a Mini 2 with Touch ID, new storage tiers, and a gold color option. 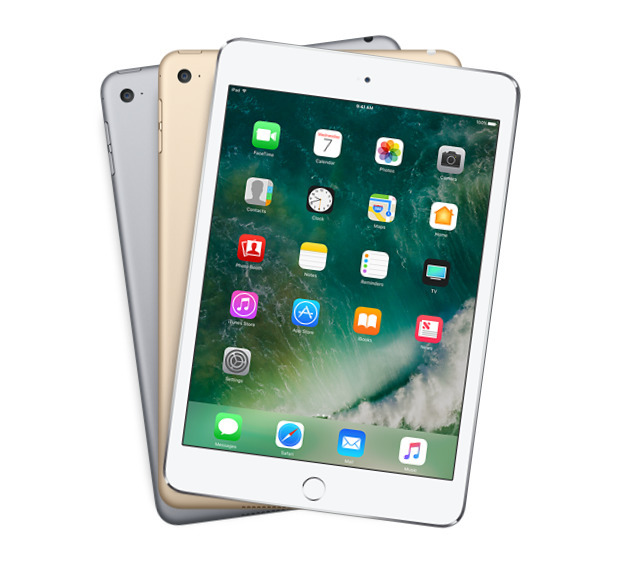 The iPad mini 4 was originally released in Sept. 2015, and did make some more substantial upgrades including an A8 processor, 802.11ac Wi-Fi, an extra gigabyte of RAM, and a thinner body. It was still much less powerful than the 12.9-inch iPad Pro launched around the same time, which for example had an A9X chip.